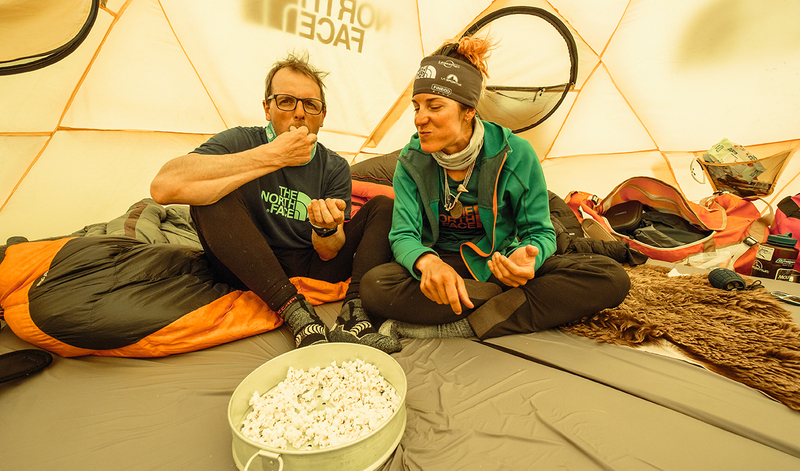 Simone Moro and Tamara Lunger want to set a new milestone in alpinism by traversing the Kangchenjunga massive. But the dream team encounters unforeseen problems, revealing new aspects of their partner’s personality. 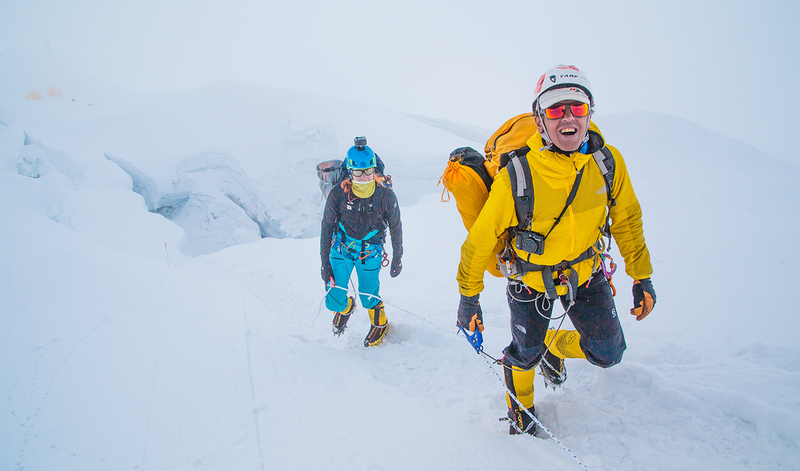 Climbing in winter is therefore not just an alpine challenge but also an attempt to recapture this spirit of adventure. 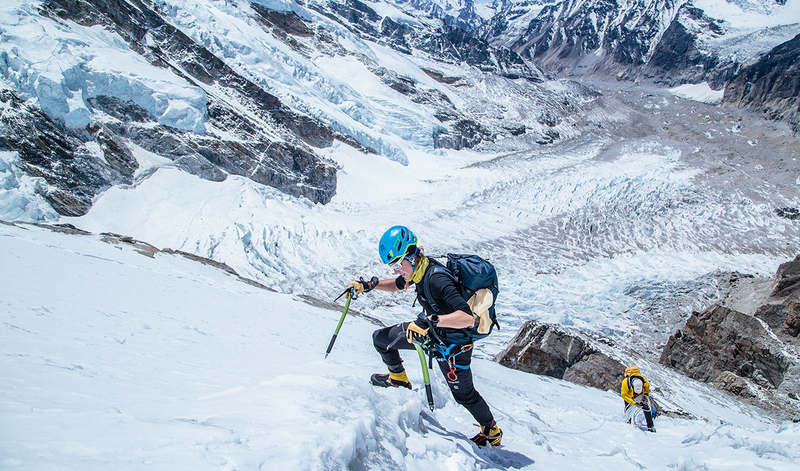 For professional alpinists like Moro, this experience is increasingly threatened by the encroaching commercialization of mountain tourism, especially on the most famous Himalayan peaks. Despite this, Moro continues to pursue his passion, withstanding the biting cold, as well as repeated failure. For over half of his 55 expeditions, 15 of them in winter, he did not accomplish his intended goal. However, he is the only mountaineer to make the first winter ascent of four of the eight-thousanders: Shishapangma (2005), Makalu (2009), Gasherbrum II (2011), and most recently Nanga Parbat (2016), where his climbing partner, Tamara Lunger, abandoned the climb just below the summit. Moro and Lunger are unequaled in the climbing world—with big goals and an age difference of 18 years. “I haven’t had a lot different climbing partners,” says Moro. “I climbed with Anatoli Bukrejew in the late 90s, with Denis Urubko in early 2000, and now with Tamara.” Lunger is the first woman to form a team with Moro. She is also the first to share his dream of conquering the Kangchenjunga traverse, the longest and most complicated ascent on the planet. Moro also considers the project a meaningful way to commemorate his friend Anatoli Bukreyev, who was killed in an avalanche 20 years ago during an expedition to Annapurna. It’s the most devastating loss in his alpine life thus far. 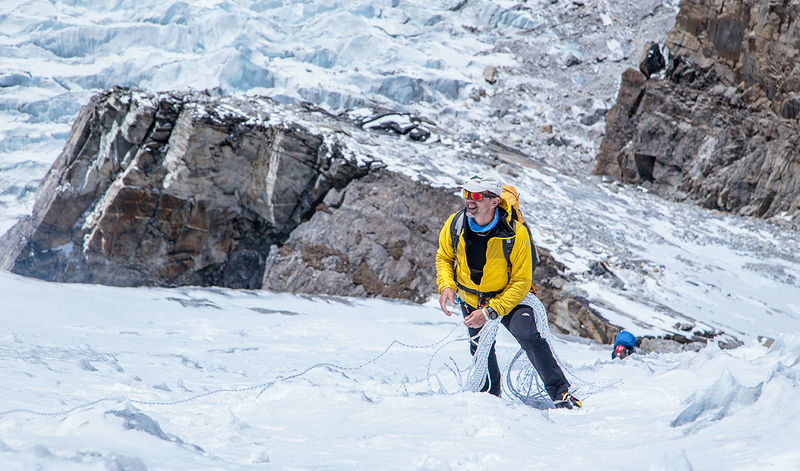 When Moro first tried to climb the Kangchenjunga in 1995, he was the youngest on the team; today he’s the oldest. He doesn’t like to be reminded that he’ll celebrate his 50th birthday in October, after the expedition. “Then I’ll officially be an old climber,” he admits. Moro and Lunger met in 2005 at her high school graduation ceremony. Moro’s wife, Barbara, was Lunger’s phys ed teacher. “Tamara came up to me,” he remembers, “and asked, ‘Simone, will you take me to the Himalayas?’ And I said, ‘Yes, I will.’ Even though she was very young, I realized she was serious, and from that moment on she was on the waiting list, so to speak.” September 2009 brought their first joint expedition to Cho Uyo, but because China closed the borders that year and no one was allowed to enter Tibet, Lunger had no chance to reach the summit. Nevertheless, one of her long-awaited dreams had come true. 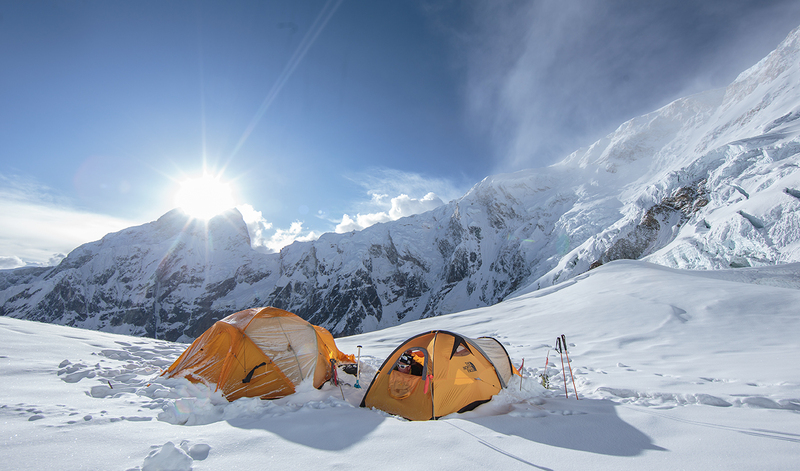 In subsequent years, she undertook expeditions with various climbing partners, including Khan Tengri (2011), Peak Lenin (2013), and the K2 (2014). In 2015, she accompanied Moro in his attempt to climb the Manaslu in winter, but this proved impossible due to constant snowfall. On their next winter expedition—to Nanga Parbat—Moro reached the top, but Lunger had to turn around. On the descent, Lunger lost her balance jumping across a crevasse. 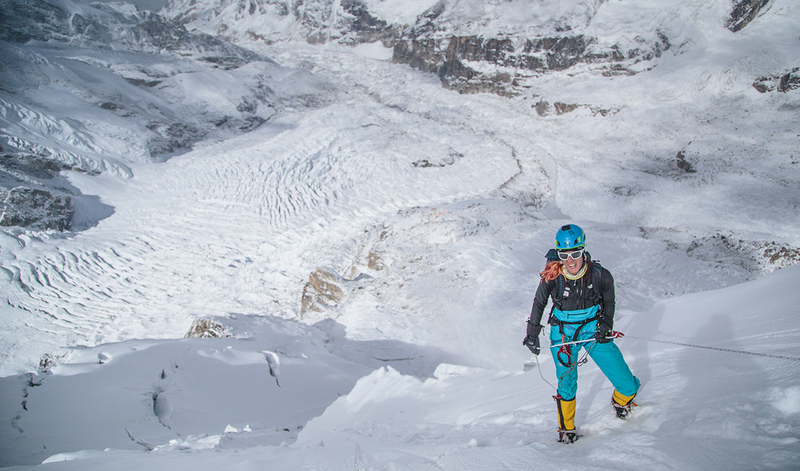 She slid 200 meters toward the abyss until she was able to stop herself in some loose snow. Luckily, she sustained only minor injuries from the incident and fully recovered. 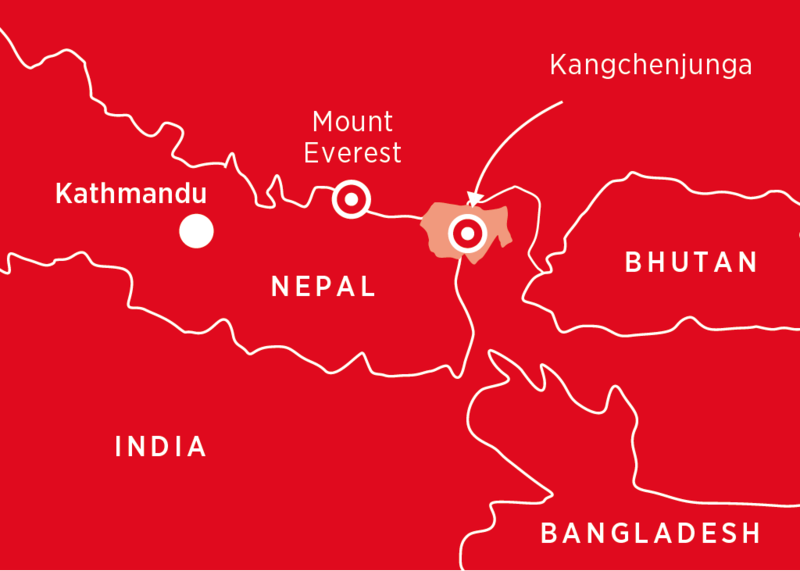 The Kangchenjunga traverse offers new challenges for the experienced team. For the first time in his long career, Moro not only struggles with the altitude, cold, and wind, but mostly against his own body. The fact that her mentor shows his limitations in her presence is new to her, but it also presents an opportunity for her to give something back for all the years she drew from his experience. She’s completed her apprenticeship. A new chapter begins.